Founded on the back of 20+ years of industry experience, Discovery is able to operate with an expertise that transcends most; a standard and level of commitment unrivalled by our industry peers. 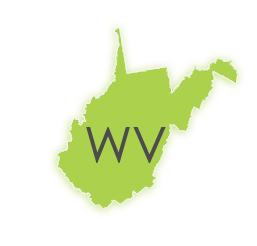 Your choice of West Virginia court reporter does not have to be limited by geography. Utilizing advanced streaming technology, we will beam to you the perfect stenographer for the job. Our service doesn’t end at court reporting nor with our arsenal of litigation services. We can help you reach a resolution through a variety of means. Our Court Reporters are equipped with the necessary technologies to offer video streaming enabled, Real Time Reporting providing you the power to to oversee depositions from anywhere you have an internet connection. You are at the controls making it easy to stay in budget. Complete transparency on all invoicing ensures you will never pay for extraneous products and services. Realtime Ready Court Reporting empowers you through immediacy and accuracy. With a direct feed from the court reporter, you get an on the fly translation from shorthand into easy to read English. What Are The Benefits Of West Virginia Court Reporting With Discovery Litigation Services? There is nowhere too remote to depose! Our primary belief is eliminating the barriers to high quality legal services starting first with geography. Modern tech enables us to virtually teleport decades of experience straight onto your team at a drop of the hat. The Discovery Litigation Services interpreters are ready and waiting to work for you anywhere in the world. There is no deposition too remote. Discovery’s streamable court reporters provide you accurate transcripts no matter where your deposition is set. Our stable of experienced court reporters coupled with high speed streaming technology ensures there is always someone available for you. If you have an internet connection, we can get you what you need. How Do I Get A West Virginia Court Reporter Now? Discovery Litigation Services offers the most up to date technological solutions on the market. The seamless integration of cloud based digital technology gives you a superior level of control, immediacy, and security. With 24-hour access to all of your deposition videos, exhibits, and invoices through Discovery’s secure web enabled repository and easy one-click deposition scheduling you’d swear you have your own Wormholes, Teleports, And Genies. Need to share a quick clip of your depo? Just reach in and grab it. Want high level secure access to manage your budget? Just click and you’re at your command center. Need to loop in an out of state party to the live deposition? We make it possible anywhere there is an internet connection - from your smartphone, tablet, or computer. You have the power to traverse space without travel costs and with the ease and immediacy of an on-demand Netflix video. Make Discovery Litigation Services your secret weapon by scheduling your deposition and start enjoying an easier way to get things done. Eliminate the paperwork and go digital. The Discovery Litigation Service repository provides a secure cloud based solution to managing everything from simple invoices and statements to live streaming your deposition to a remote location. The Discovery Litigation Services platform is your silver bullet in defeating inefficiency, in managing costs, and collaborating with your entire team seamlessly and without hiccups.